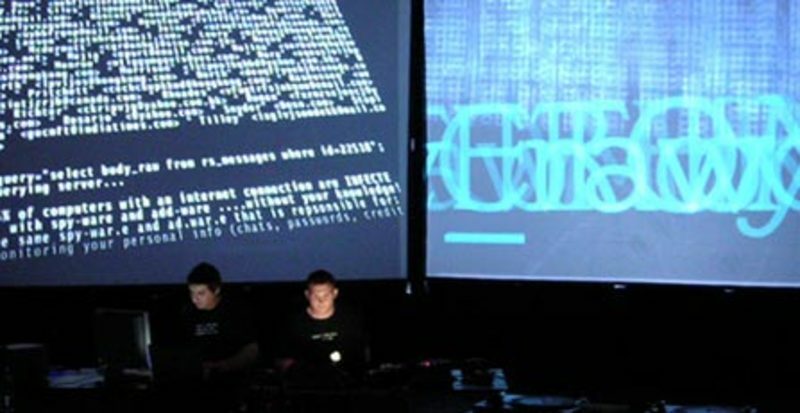 RESPAM will be premiering their performance entitled Inbox, using custom made VJ tools that query and retrieve messages, images, and text from a database that contains over 50,000 spam messages. RESPAM is a project started in April 2004 acting as a net art platform for the collection, implementation, and cultural integration of unwanted, abject data in the form of solicitous messages (heretofore referred to as spam) by artists Alex Dragulescu and Timothy Jaeger. The focus of RESPAM is multifold. The first is to create a repository of extremely large sets of spam data that aren’t filtered or organized but left in their natural, untouched state. This repository will be publicly available, for both cultural and technological probing. We encourage Internet users to participate in this endeavor and send us their spam to submit@respam.com. The second is to tap into this data to create visualizations, electronic music, multimedia performances, net.art projects and other artistic interventions. The third is to act as a portal for all spam-related information where one can find the latest in spam research, articles, legislation, tools and tutorials. The goals of RESPAM are broad and diverse, but ‘performing the data’ is an integral part of our desire to turn this unwanted email into a veritable habitat, a landscape comprised of both sound and image. 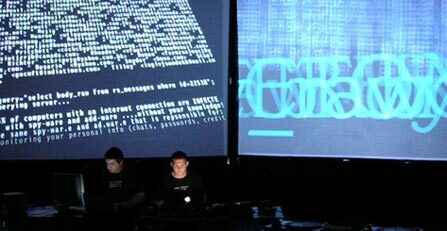 For the Pixeche 2005 our performance is entitled Inbox. With Inbox we wish to expand the nascent practice of ‘real-time coding’ into the rich history of multimedia video installation. 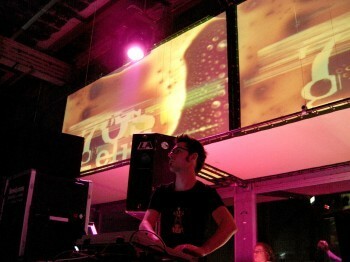 Inbox is structured in the same way as a VJ/DJ performance, but with a few caveats: In most VJ/DJ performances, the techniques and actual manipulations that the performer is doing are often times hidden: we wish to foreground this aspect of the performance. All our gestures will be superimposed over the projections and the audience will witness how we manipulate and query the database, retrieving results and triggering events. Our interface and process of navigating the database becomes thus transparent, contrasting the way databases are used today: a ubiquitous yet hidden cultural form. We guide the audience through a wide variety of electronic visual and sound spaces that are transformed by various algorithmic processes. By aestheticizing common transactions that we take for granted (such as ecommerce, online shopping carts, or even clicking to retrieve an email message) a new sensibility is cultivated through exploring database semiotics. We use a plain old ‘window’ and 3ccd camera on a tripod as a realtime analog cutting, pasting and smudging with paint, sheets and all sorts of fluid. We want to create an atmosphere that is rather raw in design. In our veejaying we use text animations to give comment on todays, mostly Dutch, society. We try to make motion graphics have its own character, like someone’s handwriting. We also use a lot of humor. In normal daytime hours we are a graphic design studio designing 2d printwork, illustration and interior design for events. At night we experiment with video and motion typography to create ‘moving posters’. And so far, we are going in a good direction.